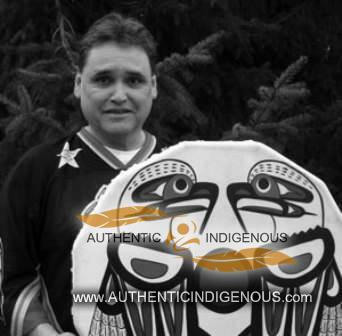 Stewart was born in 1958 and raised in North Vancouver, BC into the Squamish Nation where he resides today creating his beautiful pottery. He first started to carve wood with Fred Baker and learned from the other old masters until he discovered his love of pottery. Stewart’s first throw was in 1979 when he was in high school. He passed by the pottery class and took a keen interest in what was being produced there. 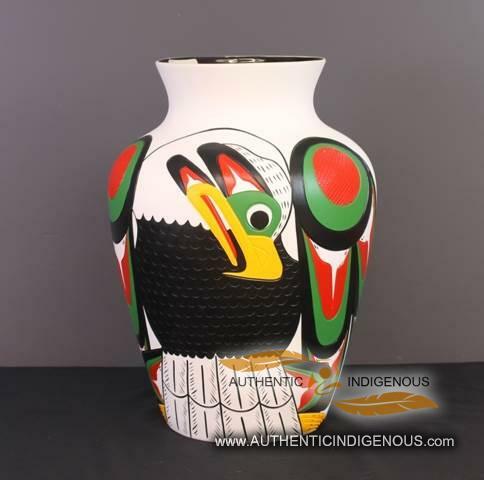 He enrolled in the class and his teacher encouraged him to put his Native designs on the pottery and he hasn’t looked back since. 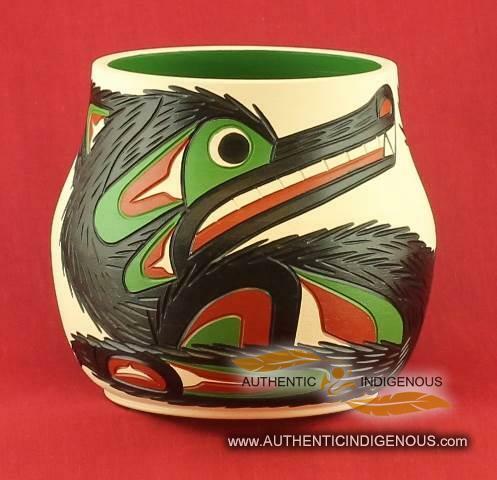 In 1986, Stewart formed the Free Spirit Pottery and has since concentrated on the ceramic art. Aside from vases of all sizes, bowls, and plates, he also makes lamps, using ceramics as a bottom. Stewart has become well known for brilliant colors and unique designs. 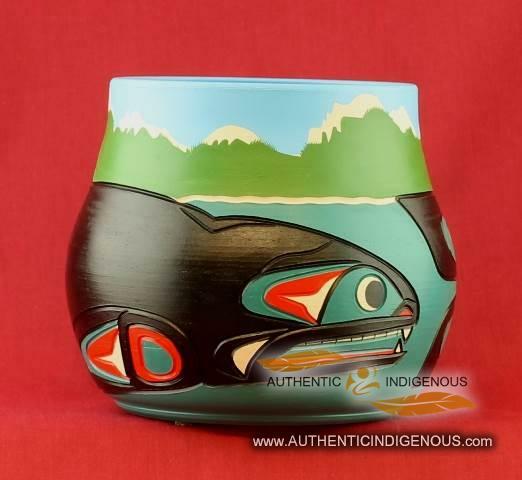 Every pot that he throws has a very uplifting and unique quality which is enjoyed by all as each piece is an original work of art. 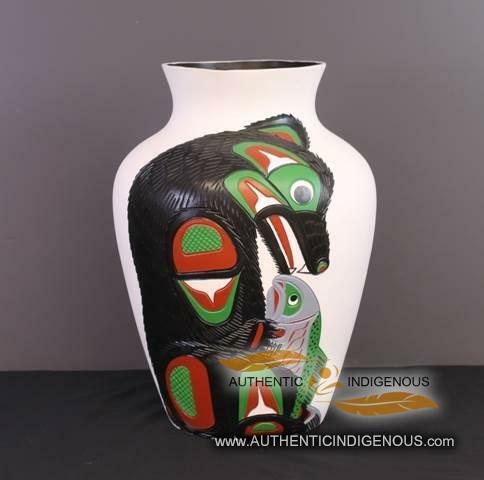 Stewart’s pottery has earned positive recognition in different art show that he has been involved in and is sold in galleries all over the Pacific Northwest coast. When he isn’t busy working with the pottery he enjoys playing in a rock and roll band. Stewart is also very involved in sports as well and loves to teach children in his community. In the winter time, Stewart can be found keeping the fires burning in the Squamish Big House.